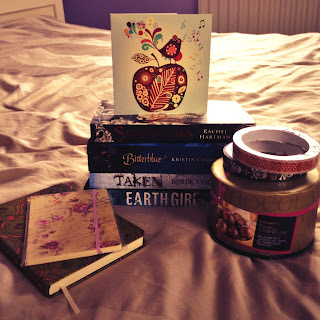 Back in June, I signed up for the Summer Ninja Book Swap (hosted by Hanna at Booking in Heels and Bex at An Armchair by the Sea) and this week was THE SWAP and it was even more glorious than I had expected. I always love shopping for presents so I was looking forward to sending a gift almost as much as I was looking forward to receiving (sorry, I’m not a saint…). I “got” Bex as a gift recipient and I was actually pretty nervous then because I didn’t want her to open her parcel and regretting coming up with the idea in the first place! But then on Wednesday, I got the most amazing box from Ellie, of Curiosity Killed the Bookworm fame. Seriously, it was super generous and I can’t thank Ellie enough. 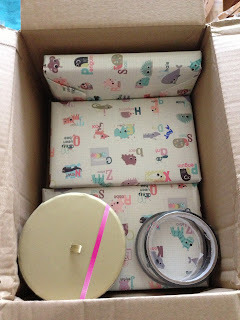 I actually managed to restrain myself from ripping apart the little parcels long enough to take a ‘Before’ picture. I know – I was surprised by the display of maturity too. 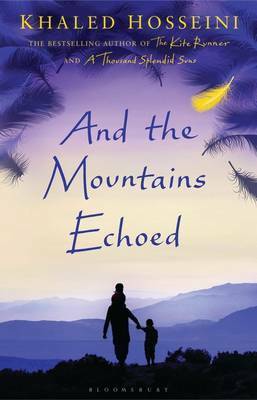 I did purchase one book myself this week: And The Mountains Echoed by Khaled Hosseini. I got a voucher for 90% off at Kobo so bagged the eBook for a ludicrous 91 pence. I have read and *loved* Hosseini’s other two novels and have been meaning to buy his new book ever since it was released. I hate hardbacks though (because they’re just too big for most of my handbags and that means I can’t take them on the train, which makes me unhappy) so I was waiting for the paperback to be released so I could either get that or get an eBook copy at a sensible price. No more waiting! Hooray indeed.